BONNIE’S two-year health check went OK. It’s the appointment where the nurse makes sure a child is reaching developmental steps by playing with picture books, building brick towers and drawing circles. Since then, she’s decided she doesn’t need a daytime nap anymore, and just stands shouting at her gate. This means she’s grumpy at tea-time and bonkers before bed. It’s also left her a little run-down, and the cold has hit her quite hard. We had two quite tiring, miserable days where she didn’t want to do much except be left alone to watch repeats of Peppa or Ben and Holly’s Little Kingdom. 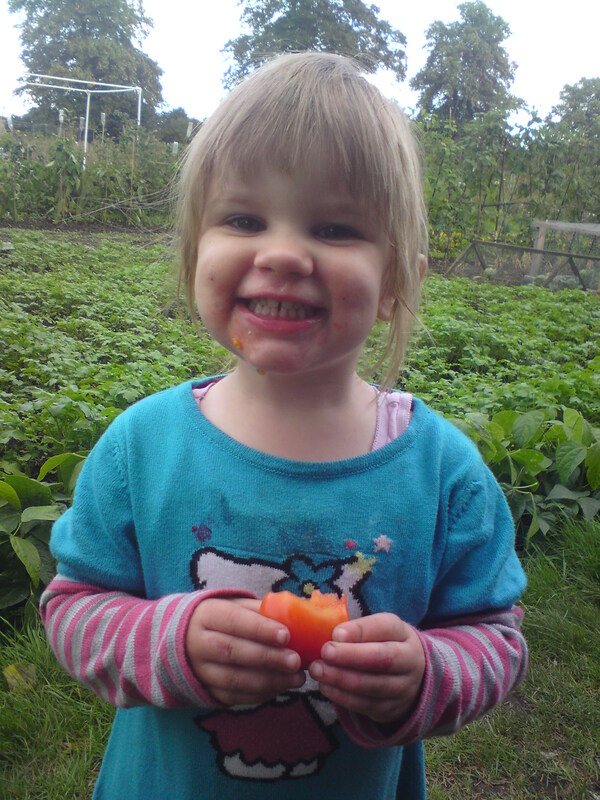 She’s recovered a little this week and perked up at the allotment, where she stripped the bushes of raspeberries and squished tomato pips all over herself. Now it’s just the streaming, sore, snotty nose. “Bogies Mummy!” she shouts, smearing it across her face and into her hair, just before you can lunge at her with a tissue. Delightful.